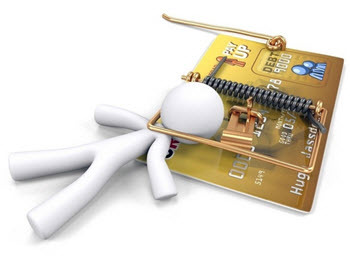 If you have a lot of credit card debt that you have problems repaying, you might be able to settle your credit card debt. You can either do this on your own or utilize one of the many available debt settling companies. There are also not-for-profit credit counselling organizations that will help people in need of debt settlement. In some jurisdictions, there will even be governmental organizations ready to help. Also keep in mind that settling your credit card debt might not be the only available option to get a grip on your financial situation. There are for instance situations were debt consolidation is a better choice than settling. Settling – what is it? 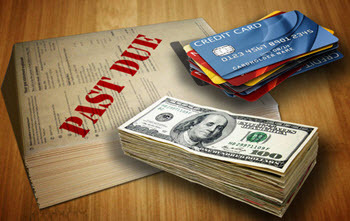 Settling usually means that your creditors agree to let you pay a settlement to resolve your debt. They agree because of the “better one bird in the hand then ten in the bush” principle. You have probably seen the commercials for companies that promises to help you with you credit card debt. It is very important to be on you toes when you select between the various companies available, because their quality vary greatly. Some debt settling companies are highly reputable and can be a great help when you need to handle growing credit card debts. Others are pure scam artists. There are also those who fall in between these two extremes; they might for instance be completely legal but doesn’t do a very good job. The basic service offers by debt settling companies is to negotiate with your creditors and try to convince them to agree to a settlement. You don’t have to use a company for this unless you want too – it is perfectly possible to do this negotiation yourself. As explained above, you settle by giving the creditors a lump sum in exchange for them removing the rest of your debt. If you use a debt settlement company, they will usually ask you to make a monthly transfer to them to gradually build up the sum that will be used for the settling. This can take a long time, sometimes several years. During this time, you are essentially handing over money to them that you could instead have used to pay down your debts. It is therefore not a decision to be taken lightly. It is also important to use a reputable debt settling company that will not embezzle your money. Also, what will happen if the debt settling company files for bankruptcy? Will you get your money back (requires a high degree of separation between company funds and client funds) or will your money be a part of the general bankruptcy proceedings ( = very low chance of you ever seeing them again since it will be treated as unsecured debt). If you instead borrow money from a third-party lender to come up with the lump sum, you are doing a form of debt consolidation in addition to the settling. Many traditional lenders are hesitant to lend money to someone who is already struggling with credit card debts (especially if the credit score is low), but there are also lenders that specializes in offering debt consolidation. If a debt settling company promises that they will make your creditors agree to a settlement, they are lying. It is always up to the creditors to accept or decline offers of debt settlement and no independent debt settlement company can guarantee that the creditors will accept. If you enlist the services of a debt settlement company and start making monthly payments to them to build up the lump sum, what will happen if you drop out half-way through? Will you get your money back? All of them or just some of them? Is there a drop-out fee? How is it calculated? It is important to check this out before you start paying so you know. In the United States, credit card companies report settled debts to the IRS, since you have essentially been given money by the credit card company. There is therefore a risk of having to pay income tax on the vanished debt. Here are a few examples of red flags that can indicate that something is fishy with a debt settlement company, especially if you notice more than one red flag. It sounds too good to be true. Compared to other debt settling companies, this one is promising to get rid of your debt using a much smaller lump sump. The company wants to start charging you a lot of service fees early on, instead of charging you when your debts have actually been settled. They make outlandish promises and try to make them seem legit by referring to an amazing new governmental program for debt settling that no one else seems to know about. The guarantee that the creditors will agree to settle. Not only do they advice you to stop paying down your debts, they also strongly downplay the consequences of ignoring your debts. They promise that if you start paying them and stop paying your creditors, they will put a stop to all debt collection actions and lawsuits.